Box Tops for Education means Books for our Library! Have you been saving up your Box Tops? 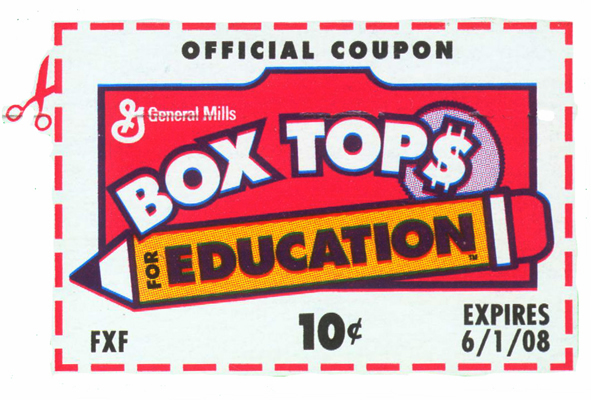 We can earn hundreds each year … if you hold on to your Box Tops and bring them in to the Library! Drop them in the Box Tops jar!